Welcome to GroundSchool Audio! The brain tends to remember what it hears at least as well as what it reads. Put your study time to good use with our "learning by listening" audio preps, available in multiple formats for the platform of your choice. Actual and realistic, up-to-date FAA questions, regularly updated. Questions read by a human narrator, not a machine. Many options available, including DRM-free MP3 audio download (for creating CDs for your car or to listen on your iPod) and audio modes fully integrated into our apps (so that you can listen while reading the questions onscreen). See below for platform options. Audio presentations are customized for each particular test. So, for example, if you want to study for a helicopter test, you will not be asked those airplane questions that will not be asked on your test. The number of FAA questions included, and, hence, the length of the audio presentation varies from test to test, but most tests feature hundreds of questions. The audio portion is generally equivalent to several (often 4 or more) CDs. Inexpensive! Available as a reasonably priced stand-alone product and also at a further discounted price if you get it with (or already have) the matching GroundSchool FAA test prep app. No waiting! Download the audio presentation from our website or via your app and be listening in just moments from now. A perfect companion to our GroundSchool FAA written test preparation software/apps for PC, Mac, iPhone/iPad, Android, and more. 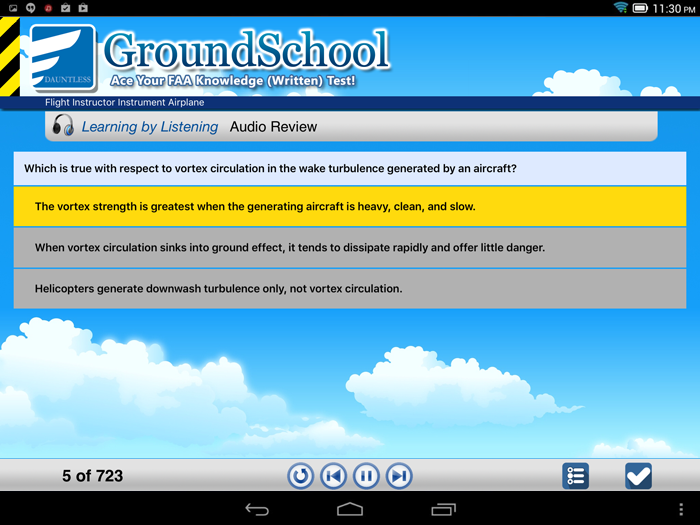 GroundSchool Audio is available for nearly all FAA knowledge tests. If you see a test included in our FAA test prep software/apps then yes, we also have audio for it. The audio consists of a narrator reading the questions and answers with emphasis on terms and phrases to help you learn and retain the material in a time efficient way. It's a highly effective study tool that has the advantage of being able to put to use pretty much anytime that you are free to wear headphones or listen though speakers such as when you're a passenger in an airplane or driving a car. However, it does not cover all of the possible FAA questions for a given knowledge test. Specifically, the audio prep does not cover questions with significant chart reading or mathemtcial problems solving components, as that would be counterproductive and pointless. Remember: the FAA these days relies on unpublished questions as a guard against memorization of answers. Our audio preps focus on questions where you can learn the key ideas through listening. For typical tests, the audio covers anywhere from about 75% of the questionas in chart-heavy tests such as IFR to about 98%+ for tests tht don't have many calculations such as the Fundamentals of Instruction test. As such, our audio prep is best used as a companion to one of our test prep apps which indeed to cover all of the questions and include all of the supplementary material (figures, etc) that you'll need, in addition to providing detailed explanations to all of the questions. While it is possible to purchase "just the audio" from us, most people interested in the audio get both an app/software package and the audio prep, as this is a very effective combo. Additionally, when you get an app/software version of GroundSchool, the Audio is offered as an add-on at a significant discount. Please choose your version above! To get started or to learn more, please select the platform / method of listening that describes you best. You will be able to select your specific test (Private Pilot, IFR, etc) at a later step. The MP3 download-only version of the audio allows you to get access to DRM-free MP3 files of the Learning by Listening content. The basic idea is that after you purchase this, you'll get an activation/access code which you can then use to log in here. From there, you'll be able to download the MP3 files to your PC or Mac and from there you can do all sorts of things with it including copying it to your favoite mp3 player just as you would any other music mp3, burning it to an audio-CD using the CD-burner on your PC or Mac so that you can listen to it in the car, and so on. I don't understand - will I get a CD mailed to me? No. We do not mail a CD or anything physical to your postal address. Rather, GroundSchool Audio is a either series of mp3 files that you can download from our website or the same audio integrated into one of our apps. See the platform choices above for more info. Can you make me a CD? Does GroundSchool Audio include ALL of the questions for a given test? No, and for good reason. While for most tests, most of the questions are covered, certain types of questions are not included. Specifically, questions that have a large visual or calculative element are not included. For example, questions that refer to charts and figures (that can not be easily described in the audio), weight and balance questions that require significant calculation are not included. However, GroundSchool Audio is incredibly helpful when it comes to, for example, learning questions that pertain to Federal Aviation Regulations, Aerodynamic Theory, Weather Theory, and so forth. 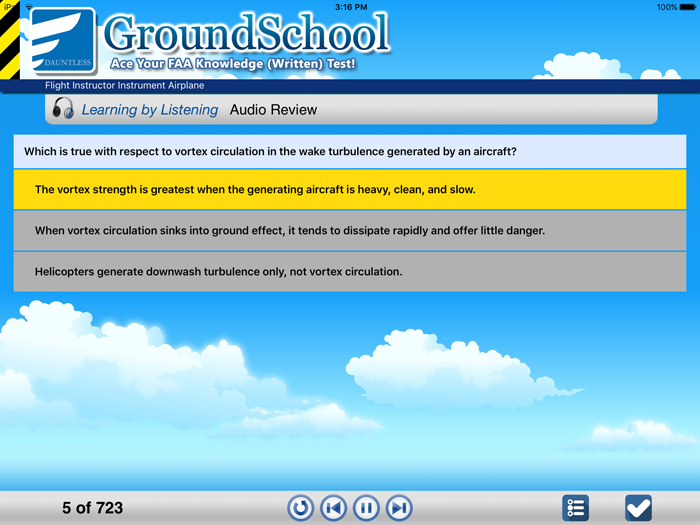 Because GroundSchool Audio does not contain all of the questions, we suggest that you use it as a companion to our GroundSchool software, which does contains all of the questions, features charts and figures, and has more detailed explanations. How does GroundSchool Audio filter just the questions for my test? One of the really cool things about GroundSchool Audio is that you get an audio presentation that is specifically for the test you are interested in. For example, if you want to prepare for the Private Pilot Helicopter Test, the audio that you download will not have any of the airplane questions that do not apply to your test. How do we accomplish this? It's simple - we record each question in a given test group separately. After you make your purchase and log in to download the audio, however, the exact questions that apply to you are dynamically joined into chapter-length mp3 files for you to download. This also means that since your audio is in essence built for you at the time that you download it, you are also getting the latest available audio and question content at any given point. It's a really nice system. Note: While there have been a few audio-CD prep programs for others before, those have all been for airplane. While of course GroundSchool audio covers airplane questions for airplane pilots, the fact that we can dynamically filter and create your mp3s means that we are proud to be the first company to offer audio preparation for non-airplane written tests. Additionally, because our audio presentations are created for you at the time that you download them from our live, editor-maintained question database, this means that you will always have access to the latest and greatest content we have available, unlike CDs which go out of date as they sit on store shelves. Why does the demo play every question twice? This is an option available in the mp3 download versions: you can choose to have each question repeat 0, 1, or 2 times (some people like this because repetition helps the brain remember better), and you can also adjust the interval between questions (some people like longer intervals to give the material a few moments to 'sink in' - others prefer shorter ones to get to the next question quickly.) For the demo, we chose to play each question twice and leave a 1 second gap in between each question. Registered users are, of course, able to change their settings and experiment until they find one that works for them. Unfortunately, the temptation to pirate copyrighted audio materials is very strong. The reality is that piracy hurts small, honest companies like ours. In order to prevent this and to maintain value for our honest customers, we have taken some precautionary measures. You may have read in the previous questions how each audio presentation is dynamically created for each user. As part of this process, we also embed hundreds of very subtle "fingerprints" into the audio that you download. If you're a normal, honest user, you will be completely unaware of this tagging. However, if we find that our audio is being illegally "shared" or pirated, our system will be able to very quickly use these fingerprints to identify the source of the pirated copy, which can lead to very serious repercussions for the original owner. The fingerprinting that we have implemented will remain in place regardless of any attempts to change file formats, copy to audio CD, and so forth. Look, we offer a great product quite inexpensively (competing audio CDs generally start at at least twice our price) and do so under a generous license: the download is in DRM-free mp3 format and we allow you within reason to space shift it to CD, your personal digital audio device (such as iPod) and so forth. Please respect our work by not pirating it, even casually "among friends." Understand that while our honest customers have absolutely nothing whatsoever to fear, we will take a zero tolerance approach with copyright infringers. If you have a friend or colleague who could benefit from our products, please direct them to our website where they may purchase their own copies. Thank you for your understanding. The audio content is dynamically created for you at the time you download it. This means that yes, the content is generally very up to date with the latest FAA changes, and almost certainly more up to date than DVD and CD programs from competitors. Our narrators typically tend to record the audio when new questions come in within 2 weeks and often sooner. The purchase process below is for purchasing the MP3-download version only. Click on this [buy now] link. Select the test group of your choice, read and agree to the terms and conditions as provided, and enter information about your ownership of the GroundSchool software (if applicable). Proceed to the secure purchase pages, where you can purchase via a large number of ways, including credit card, PayPal, and so forth. Note that ecommerce is handled for us via our SWreg merchant partner. In most cases, after the purchase is complete, you will get a receipt e-mailed to you within moments. This receipt will contain your 'keycode', which is a sort of passcode that you need to get access to the audio. (If you can't locate your keycode after purchase, please visit our helpdesk). With your keycode in hand, return to this page. Click on the "existing user login" above. This will direct you to the files for you to download. where you can customize the mp3 files that you will download to best suit your study and listening preferences. That's it! The whole process is fast and simple. Most if not all personal audio devices, including iPods, certain mobile phones, and so forth have means to play mp3 files, as this is the MOST standard way of encoding digital audio out there. However, the exact procedure for getting the mp3s onto your device varies from manufacturer to manufacturer. Unfortunately, we aren't really experts at all the different players out there, so it's probably best if you contact your manufacturer or read the directions that came with your device for this. However, your first step in almost all cases is to have downloaded the mp3 files to your local hard drive first. Current pricing can be seen by clicking on the buy now link above. There are discounts if you are an existing user of our PC software purchased via our website for the exact title. So, for example, if you bought our GroundSchool - FAA Commercial Pilot software from our website and have activated it, you can get a discount on the GroundSchool - FAA Audio for Commercial Pilot in the next screens. The prices above are listed in US dollars. As you go through the order process, you will see in a later screen the price displayed in your local currency. Orders are handled for us by SWreg, our e-commerce partner who have been absolutely great at providing a reliable and secure e-commerce gateway for us. An absolutely great way to prepare for your test is to get one of our iPad/iPhone test prep apps and then get the audio with this. This gives you the best of both worlds - access to all of study modes, figures/charts/detailed explanations, and more in the app PLUS the audio questions that you can listen to on your iPhone/iPad using the app's built-in "learning by listening" audio review mode. What's more, when get the audio with the app, you'll get it at a nice discount off the "MP3 audio only" price. Here's what you need to to do to get the App + Audio combination. Buy the GroundSchool iPhone/iPad FAA Knowledge Test Prep app of your choice and have the iTunes Appstore download it to your device. Congratulations! You now have the study app, though not yet the audio. Click on "Prepare for Written Test" from the main menu. Then, select your test ("Private Pilot Airplane", for example) by clicking "select". Then, select your study chapters ("select all" is fine) and click "next." Now you're on the "Options" screen. In the top section there, "Study Mode" you will see a number of options. One of them (usually the bottom one) will be "Learn by Listening / Mp3 Audio". Click that. Select "Learning By Listening" on the Options Screen. IF you haven't purchased the audio yet via in-app purchase on the iTunes appstore, it will offer it to you for sale there at a nicely discounted price. You can buy it right there. Access is instant plus or minus the time it takes to download the audio files to your device. If you've purchased it already, it will go right into audio mode, which is a dedicated player mode of the app which you can use to listen to the questions. You have the option of listening to this while looking on screen at the text or just plain listening to the questions/answers on your headphones. If you've purchased it already via iTunes in app purchase, but not on this device, click on "Restore Purchases" to get it again without paying again. The entire sales process is secure and connected to / processed by your iTunes appstore account. That's it! Instant access, a polished user experience. Lovely! This really is a highly effective way to study. Click Here to get GroundSchool for iPhone/iPad if you haven't yet already. Audio Mode Inside the App. Note the audio controls at bottom. Please note that when you purchase via iTunes Appstore in-app purchase, this will let you access the audio via the app on your device. This will not, however, give you access to download the mp3 files via this website (you almost certainly won't need that anyway in this case). In the unusual case that you think you really need the mp3 audio too, please contact us via our helpdesk within two months of your purchase of the audio and we'll be happy to consider each such request on a case by case basis. If you do this, please be prepared to provide us with your iTunes Appstore order numbers and copies of your electronic receipts and please also let us know why you you feel you need this. Thanks! An absolutely superb way to prepare for your test is to get one of our Android test prep apps and then get the audio with this. This gives you the best of both worlds - access to all of study modes, figures/charts/detailed explanations, and more in the app PLUS the audio questions that you can listen to on your Android device using the app's built-in "learning by listening" audio review mode. What's more, when get the audio with the app, you'll get it at a nice discount off the "MP3 audio only" price. Buy the Android GroundSchool FAA Knowledge Test Prep app of your choice and have the Google Play Appstore download it to your device. Congratulations! You now have the study app, though not yet the audio. IF you haven't purchased the audio yet via in-app purchase on the Google Play appstore, it will offer it to you for sale there at a nicely discounted price. You can buy it right there. 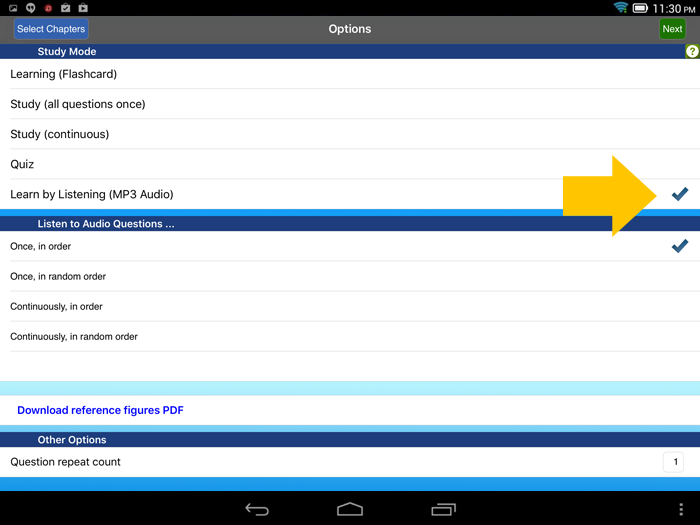 Access is instant plus or minus the time it takes to download the audio files to your device. If you've purchased it already via Google Play in app purchase, but not on this device, click on "Restore Purchases" to get it again without paying again. The entire sales process is secure and connected to / processed by your Google Play account. Click Here to get GroundSchool for Android if you haven't yet already. Please note that when you purchase via Google Play in-app purchase, this will let you access the audio via the app on your device. This will not, however, give you access to download the mp3 files via this website (you almost certainly won't need that anyway in this case). In the unusual case that you think you really need the mp3 audio too, please contact us via our helpdesk within two months of your purchase of the audio and we'll be happy to consider each such request on a case by case basis. If you do this, please be prepared to provide us with your Google Play order numbers and copies of your electronic receipts and please also let us know why you you feel you need this. Thanks! 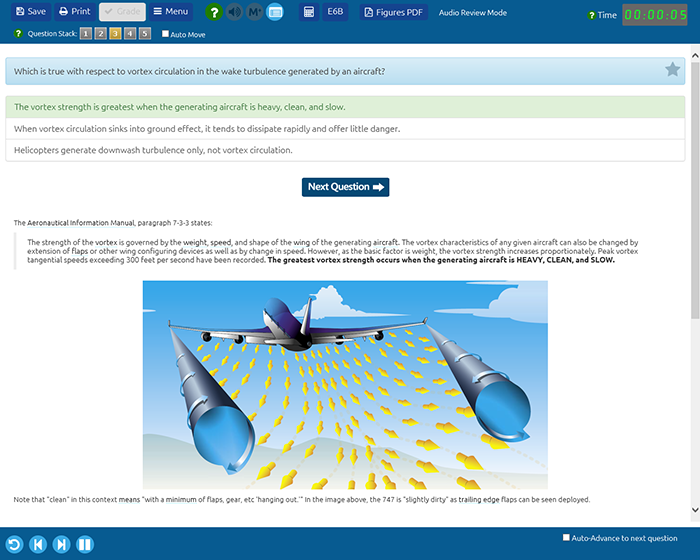 Using our PC software/app along with the audio review is a great way to prepare for your FAA knowledge test. This gives you the best of both worlds - access to all of study modes, figures/charts/detailed explanations, and more in the app PLUS the audio questions that you can listen to on your PC using the app's built-in "learning by listening" audio review mode. There are two basic places where you get this for PC. One, you can purchase a PC+Audio combo via the official Windows App Store. The app purchased there includes the PC app with the audio already bundled in and is priced accordingly. Please visit the Windows App Store if this is something you are interested in. However, most users reading this will be more interested in the app as purchased via our website (this website that you are on now). When you purchase the PC software via our website and get the Learning by Listening Audio add-in, you'll get access to the PC software and all of its charts, figures, and detailed illustrations, you'll get access to the audio mode within the software, PLUS the same activation code you will get will allow you to download the MP3 files as desgibed in the "MP3 Only" tab here. 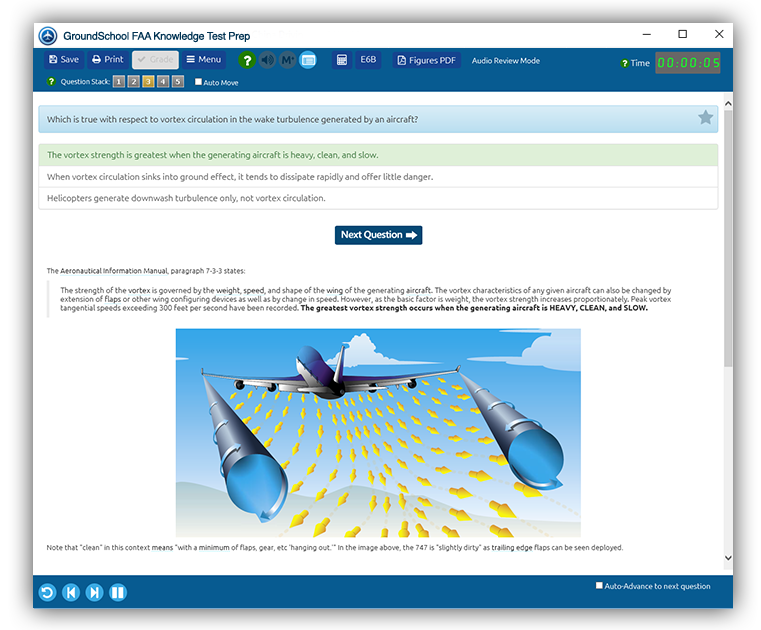 Visit the GroundSchool FAA test prep software homepage. Choose the test group of your choice (for example, "IFR") to visit the page for that. Download the demo PC software and install it on your PC. Feel free to try it out in demo mode! Once you're happy with how it works in demo mode (or if you're ready to buy now), visit the GroundSchool order page. Continue through the order process. At one point (2 or 3 screens in depending on the options you choose) you will be offered the Audio prep as an add-in at a great discounted add-on price. Be sure to add this to your cart and your order to take advantage of this great pricing! After you complete the purchase and activate the software using the unlock code that will be emailed to you, "Learning By Listening" mode will be active for you in the software. Additionally, you'll be able to use the same activation code to download the mp3 files here. There are two methods for getting the audio. The first one is simpler for you. 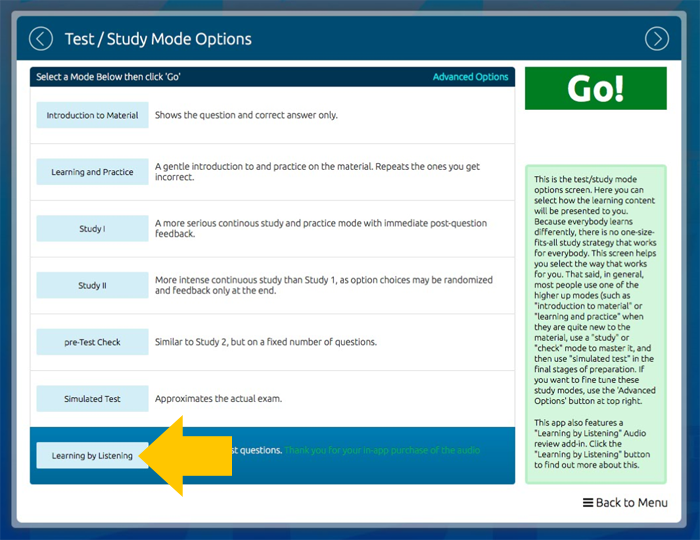 Method 1: Start the software on your PC, get to the test options screen, and select the Learning by Listening mode (see image below). If you haven't yet purchased this, you'll be offered this at a great discounted price. This is the easier way since it doesn't require you to find your activation code. Method 2: Click here to go directly to the audio purchase page. You'll need your PC activation code handy to claim your "existing PC user" discount. In either case, you can be studying with the audio just moments from now. Select "Learning By Listening" on the Test Options Screen. It may look a little different in the version you have, but it's basically like this.. This shows the Audio Mode Inside the software. Note the audio controls at bottom left. Again, this screenshot may vary a bit from the actual app. An absolutely great way to prepare for your test is to get one of our Mac test prep apps and then get the audio with this. This gives you the best of both worlds - access to all of study modes, figures/charts/detailed explanations, and more in the app PLUS the audio questions that you can listen to on your Mac app using the app's built-in "learning by listening" audio review mode. What's more, when get the audio with the app, you'll get it at a nice discount off the "MP3 audio only" price. Here's what you need to to do to get the Mac App + Audio combination. Buy the Mac GroundSchool FAA written test prep app of your choice and have the Official Mac Appstore download it to your mac (it will normally download and install automatically after you buy it at the Mac appstore). Congratulations! You now have the study app, though not yet the audio. Click on "Prepare for Written Test" from the main menu. Then, select your test ("Private Pilot Airplane", for example). Then, select your study chapters ("select all" is fine) and click "next." Now you're on the "Options" screen. Under "Study Mode" you will see a number of options. One of them (usually the bottom one) will be "Learn by Listening / Mp3 Audio". Click that. IF you haven't purchased the audio yet via in-app purchase on the Mac AppStore, it will offer it to you for sale there at a nicely discounted price. You can buy it right there. Access is instant plus or minus the time it takes to download the audio files to your device. If you've purchased it already via Mac Appstore in-app purchase, but not on this particular mac, click on "Restore Purchases" to get it again without paying again. Click Here to get GroundSchool for Mac if you haven't yet already. 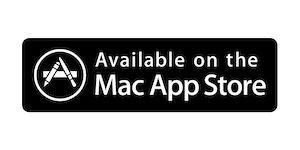 Please note that when you purchase via Mac Appstore in-app purchase, this will let you access the audio via the app on your device. This will not, however, give you access to download the mp3 files via this website (you almost certainly won't need that anyway in this case). In the unusual case that you think you really need the mp3 audio too, please contact us via our helpdesk within two months of your purchase of the audio and we'll be happy to consider each such request on a case by case basis. If you do this, please be prepared to provide us with your Mac Appstore order numbers and copies of your electronic receipts and please also let us know why you you feel you need this. Thanks! Thank you for trying GroundSchool Audio!